Everyone’s waiting for that shiny, photo-realistic Legend of Zelda Nintendo teased at E3 2011. Too bad that was a mere tech demo. During their January Nintendo Direct, the company admitted that their next entry in the series is a voyage long away. However, they are working on a treat to keep you occupied in the interim — The Legend of Zelda: The Wind Waker HD. This isn’t just an HD gloss over a Gamecube classic. Nintendo’s promised to not only update the visuals, but also implement gamepad functions and Miiverse integration. They’ve also mentioned that they’ll be “tuning” the gameplay, most likely to bring the controls up to snuff with contemporary action games. I’m hoping they’ll also be adding content cut from the original. Maybe new islands, new sidequests or even new rooms in dungeons. To have orchestrated music this time around would be wonderful. When it comes to the music in Zelda games, Wind Waker has the most variety in its soundtrack, going from Celtic tunes on one island to Inca instrumentals on another. A decade has been long enough for this classic’s rebirth, hopefully adding plenty of content for veterans, while retaining its original charm and majesty for newcomers. However, this task is often difficult to execute, but I have confidence in Nintendo. They seem to handle their remakes tastefully. It’s clear the graphics are being completely reworked. With a new lighting engine and HD textures, Nintendo is turning a pretty game, gorgeous. But I do have my concerns about these revamped visuals. Part of what makes Wind Waker‘s look so unique, is the hard transitions between colours. Strong shading and abrupt changes in colour helped define the scenery and characters, making it look more like a cartoon than a videogame. This seems to be somewhat absent in the remake, as the vibrance of the colours and how they contrast against one another, removes those sharp turns in shade. Don’t get me wrong, I think this game looks beautiful. It’s just that there’s a distinct art direction with the original Wind Waker that this remake seems to be deviating from. But then again, only a few screenshots were shown. It could be that this game still holds the beauty of the classic, we just have to watch it sail. It’s been a while since our dinosaur friend’s had his own adventure. Seven years really. Perfect time for his foray on the Wii U. This time, Yoshi has a fresh art style and a new studio, as seen in January’s Nintendo Direct. Nintendo didn’t give us a title, but we can be creative. It could be a successor to Super Mario World 2: Yoshi’s Island. 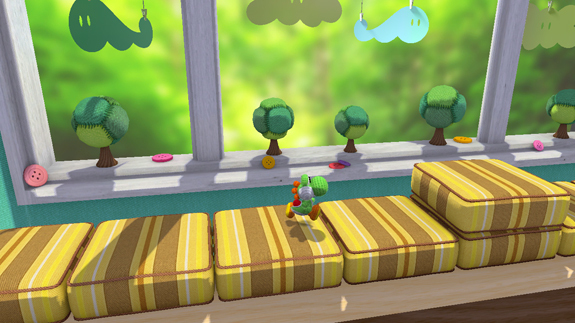 The art style may even suggest a sequel to Yoshi’s Story. But last November, a game called Yoshi’s Land appeared on Best Buy’s online catalogue and is most likely the same game exhibited in the latest Nintendo Direct. With one good look at the footage Nintendo released, you can immediately tell that it’s being developed by Good Feel, the studio that brought you Kirby’s Epic Yarn. In this new game we see a similar art direction; a look that scores our minds and distinguishes itself from the other platformers on the market. That being said, the gameplay in Kirby’s Epic Yarn was quite the letdown. Filled to the brim with shallow combat and simple platforming, the game’s presentation was the only exceptional aspect of the title. With no health system in place, there was no room for failure and as a result, removed any challenge from the gameplay. But good news, Takashi Tezuka, the director of Super Mario World 2, will be supervising the development. Hopefully his presence will push the game in a deeper and more challenging direction than Good Feel’s last title. Obviously, I can’t make much of a comment on the game with so little information. 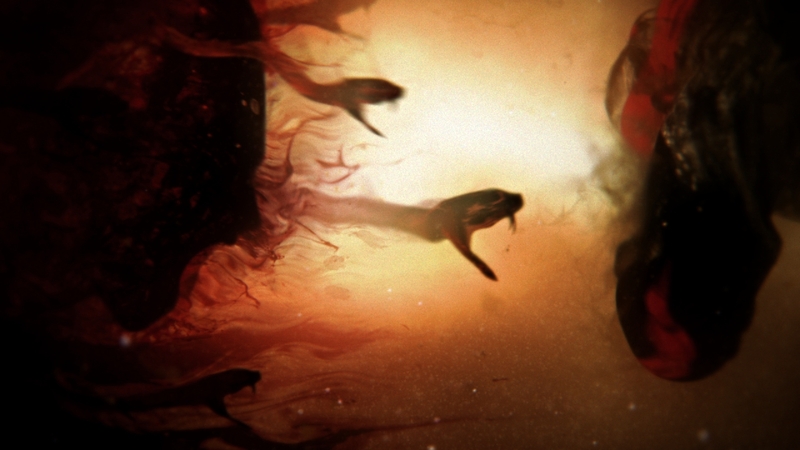 But as far as visuals go, it looks incredible. Good Feel may be taking inspiration from their earlier product, but they’re sculpting something with a unique style, making this title worthy of its own pedestal. Even with the limited exposure, I’m quite excited about Yoshi’s next adventure.